If you’re looking to make your night a memorable one, then ULC has the perfect opportunity for you to spice up your evening without breaking your bank! 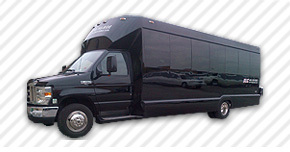 With a mobile party on wheels, you’ll have the time of your lives – even before you get to your destination! 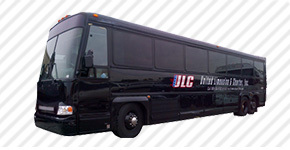 ULC caters to every square corner of the Los Angeles area, and our party buses will leave you speechless, or screaming with delight! 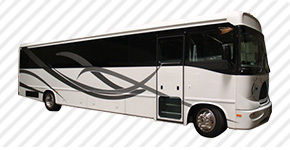 With the newest, biggest, and most comfortable buses in the business, you’ll show up to your event without a worry or care in the world, surround by up to 50 of your closest friends and looking fabulous! 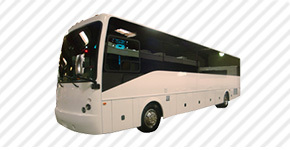 With buses that can accommodate up to 52 passengers, United Limousine will make sure no one gets left behind! 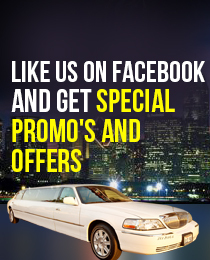 Tell your folks, friends, and other family members that you want to make sure that you get the biggest bang for your buck, and that you won’t settle for anything less than the best – or ULC in that case! 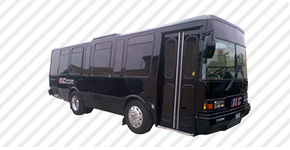 Looking for somewhere to go in your amazing, sleek, stylish party bus? 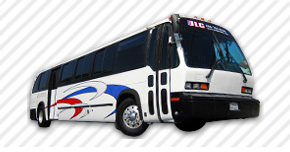 Cruise around the Los Angeles area, and find out what So Cal is all about! 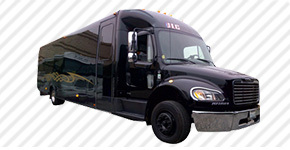 Take a trip to our amazing night clubs, like the Conga Room, Dragonfly Bar, Ultra Heat Longue, and more, with your own private club on wheels! Or, for more family appropriate vacations, head over to the fun themed parks in our area, like Disneyland, California Adventure, and Universal Studios in Hollywood! There’s no better place to go with 50 of your rowdiest, fun-loving friends than a sports event, held at the Staples Center or Dodger’s Stadium! And who could resist a fun day learning about culture and art at the Getty Museum or the Los Angeles Museum of Art! 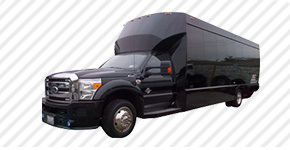 No matter what the occasion or where the party’s being held, you can always upgrade your birthday, anniversary, bachelor or bachelorette party, night on the town, day in the sun, adventure, vacation, or just a new experience in the area with the use of your own private party bus! 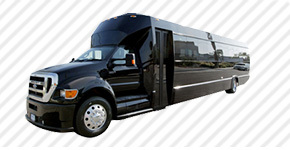 Never worry about where you won’t be able to go in your party bus – we service the entire LA area! Including, but not limited to: Agoura Hills, Alhambra, Arcadia, Artesia, Avalon, Azusa, Baldwin Park, Bell, Bell Gardens, Bellflower, Beverly Hills, Bradbury, Burbank, Calabasas, Carson, Cerritos, Claremont, Commerce, Compton, Covina, Cudahy, Culver City, Diamond Bar, Downey, Duarte, El Monte, El Segundo, Gardena, Glendale, Glendora, Hawaiian Gardens, Hawthorne, Hermosa Beach, Hidden Hills, Huntington Park, Industry, Inglewood, Irwindale, La Cañada Flintridge, La Habra Heights, La Mirada, La Puente, La Verne, Lakewood, Lancaster, Lawndale, Lomita, Long Beach, Los Angeles, Lynwood, Malibu, Manhattan Beach, Maywood, Monrovia, Montebello, Monterey Park, Norwalk, Palmdale, Palos Verdes Estates, Paramount, Pasadena, Pico Rivera, Pomona, Rancho Palos Verdes, Redondo Beach, Rolling Hills, Rolling Hills Estates, Rosemead, San Dimas, San Fernando, San Gabriel, San Marino, Santa Clarita, Santa Fe Springs, Santa Monica, Sierra Madre, Signal Hill, South El Monte, South Gate, South Pasadena, Temple City, Torrance, Vernon, Walnut, West Covina, West Hollywood, Westlake Village, and Whittier.